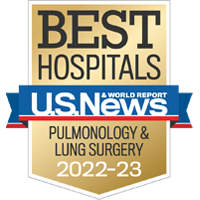 Idiopathic pulmonary fibrosis (IPF) is a specific form of chronic, progressive fibrosing interstitial pneumonia, primarily occurring in older adults. It is caused by injury and aberrant repair of the lower lung resulting in accumulation of fibroblasts. These cells produce abundant amounts of collagen and contribute to the formation of scar tissue. In normal wound repair, fibroblasts die and are removed at the completion of the repair process. In IPF, fibroblasts persist and accumulate in the lung, leading to progressive fibrosis, dyspnea, hypoxemia, and death within 5 years of diagnosis. Dr. Riches and his group have previously shown that fibroblasts normally die through apoptosis following stimulation of a receptor called Fas. Furthermore they showed that these cells will not die when Fas becomes associated with an inhibitory protein, the PTPN13 molecule. They were able to demonstrate that by blocking the association between Fas and PTPN13, fibroblast cells are once again able to undergo Fas-receptor induced death. These findings suggest that the development of a compound that blocks the Fas/PTPN13 interaction could serve as a therapeutic modality to treat IPF. Therapeutic uses for treatment of idiopathic pulmonary fibrosis. Other fibrotic conditions are being explored. Investigators have completed two virtual screens and identified compounds that, based in structural analysis, would be predicted to interfere with the binding of PTPN13 to Fas. In addition, an alpha-screen assay was set up to conduct high throughput screen of the library of small molecule inhibitors. Frankel, Stephen K., Gregory P. Cosgrove, and David W.H. Riches. "TNF-α Sensitizes Normal and Fibrotic Human Lung Fibroblasts to Fas-Induced Apoptosis." American Journal of Respiratory Cell and Molecular Biology 34.3 (2006): 293-304.PubMed. Web. 4 Nov. 2005. Article Online. Wynes, Mary W., Benjamin L. Edelman, Amanda G. Kostyk, Michael G. Edwards, Christopher Coldren, Steve D. Groshong, Gregory P. Cosgrove, Elizabeth F. Redente, Alison Bamberg, Kevin K. Brown, Nichole Reisdorph, Rebecca C. Keith, Stephen K. Frankel, and David H.W. Riches. "Increased Cell Surface Fas Expression Is Necessary and Sufficient To Sensitize Lung Fibroblasts to Fas Ligation-Induced Apoptosis: Implications for Fibroblast Accumulation in Idiopathic Pulmonary Fibrosis. "Journal of Immunology 187.1 (2011): 527-37. Web. 1 June 2011. Article Online. “PTPN13 is an inhibitor of Fas-induced apoptosis in idiopathic pulmonary fibrosis.” in preparation. Bamberg, A., E.F Redente, S.K Frankel, M. Wynes, G.P Cosgrove, and D.W Riches. "Role Of Protein Tyrosine Phosphatase Non-Receptor 13 In Myofibroblast Apoptosis And Pulmonary Fibrosis (thoracic)." Role Of Protein Tyrosine Phosphatase Non-Receptor 13 In Myofibroblast Apoptosis And Pulmonary Fibrosis (thoracic). Abstract Online. Bamberg, Alison A. “Protein Tyrosine Phosphatase-N13 (PTPN13) Promotes Myofibroblast Resistance to Apoptosis in Idiopathic Pulmonary Fibrosis.” American Journal of Respiratory and Critical Care Medicine [Am J Respir Crit Care Med] NLMUID: 9421642, 2018. PMID: 2972758. US Patent Application 20120148528. Published international patent WO/2012/064763. David Riches, Ph.D., Allison Bamberg, Ph.D.